Just like Thailand and its fruit, Sweden has its own weird, weird food. I have been inundated with these oddities since I arrived, and after four months here I can tell you that some of it is good, some palatable and some downright nauseating. The first installment of what will become a regular feature on Urban Pilgrim falls into the latter category. I can’t make this stuff up. It’s caviar in a tube. 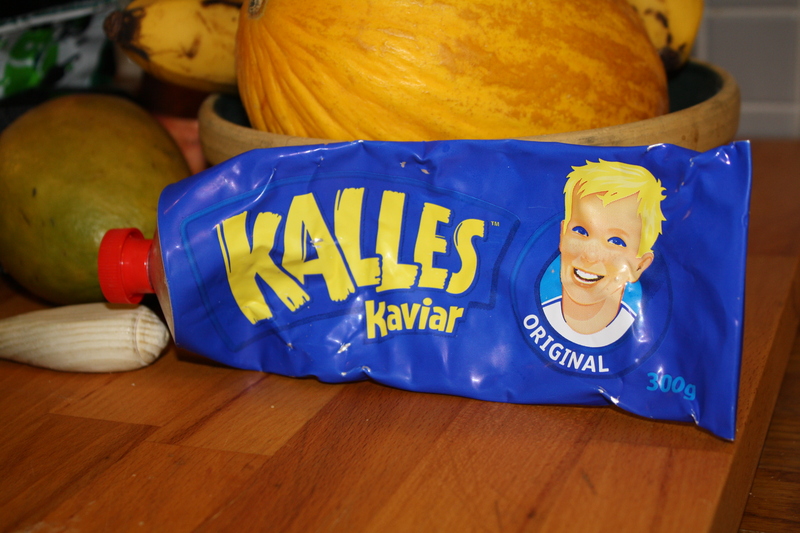 They spread it on hard bread (knäckebröd). They squirt some on hard-boiled eggs. They drizzle a little on ice cream. Ok, not the last one. But this company makes a variety of caviar in a tube, including banana flavored and egg flavored. Yum. But Swedes didn’t stop there. They have looked for every opportunity to put some combination of fish and cheese in tubes. There is a wide array of products mixed with soft cheese, including other cheeses, in a tube. You have your basic shrimp cheese, lobster cheese and crayfish cheese. Or if you can’t decide between fish cheese and caviar, have them both with a lovely lobster, crab and dill flavor. They have tube cheese for different moods too. Feeling a craving for some meat cheese? Try the ham cheese or even the smoked deer meat cheese. Wanting to go veggie? Grab the mushroom cheese or olives, garlic and mozzarella cheese. Sweden even has cheese in a tube that rivals Baconaise, America’s most revolting condiment. Yeah, you guessed it. Bacon cheese. However, there is one that is perfect for those days where you need to unwind, but don’t have the energy to pour yourself a stiff drink AND make a sandwich. Just grab a tube of blue cheese and whiskey and feel the stress melt away.